Watermelon-pink flowers bloom from spring to fall on this exuberant, easy-to-grow perennial. Mid-green leaves have pleasant fruity scent. 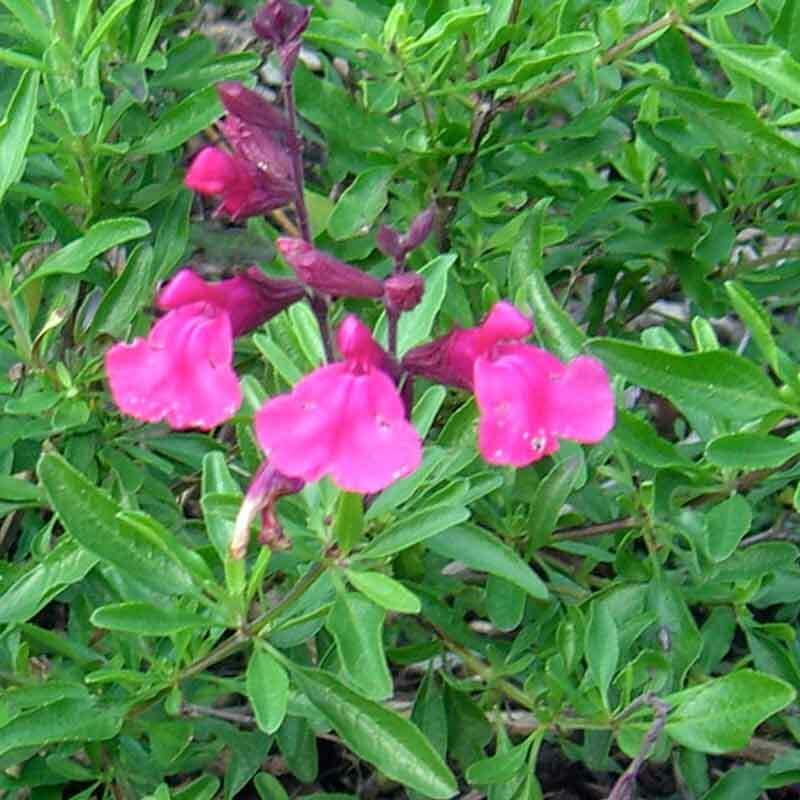 Blends well with other deep purple, blue, or white perennials for great impact in the garden. 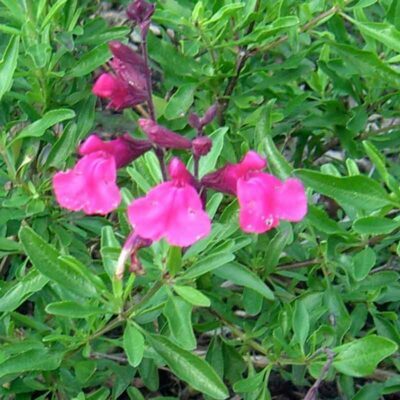 Good in mass plantings, containers, and as edging for borders or pathways. Ideal for creating small wildlife habitat—attracts birds, bees, and butterflies. Full-part sun. Height 3′. Spread 3′. Drought tolerant once established. Exceptional winter hardiness. Zones 7-9.